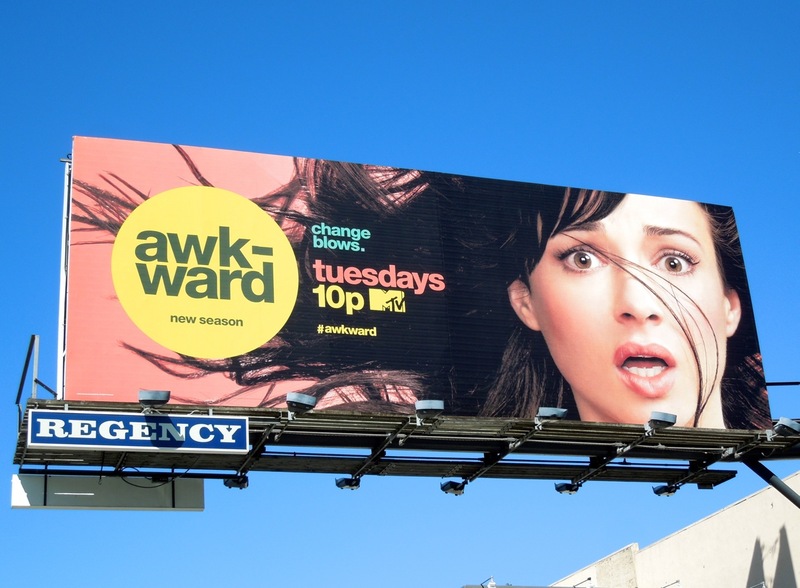 From the looks of Ashley Rickards face, aka 'Jenna Hamilton', it appears that change is in the wind for her junior year in the third season of MTV's teen comedy, Awkward. 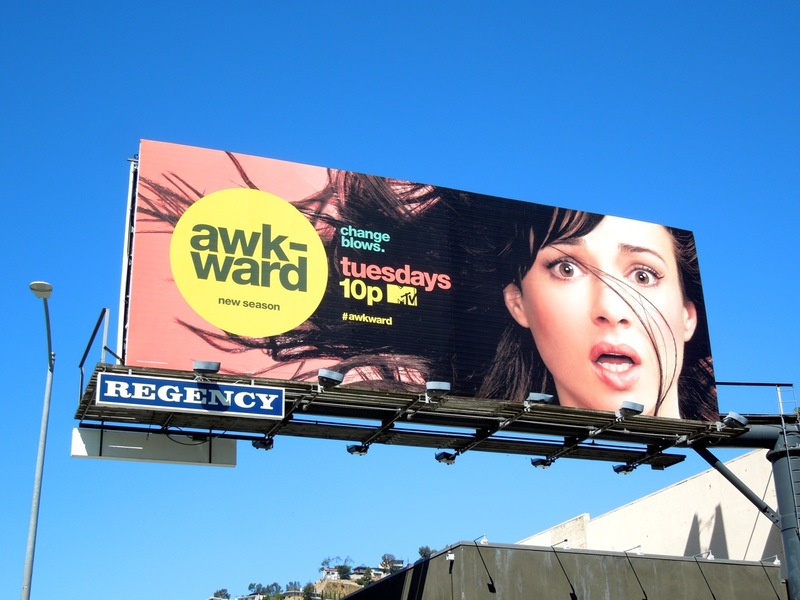 Expect more daily drama and tricky situations in the life of the ultimate underdog, like coping with the death of a classmate and pregnancy scares for starters. 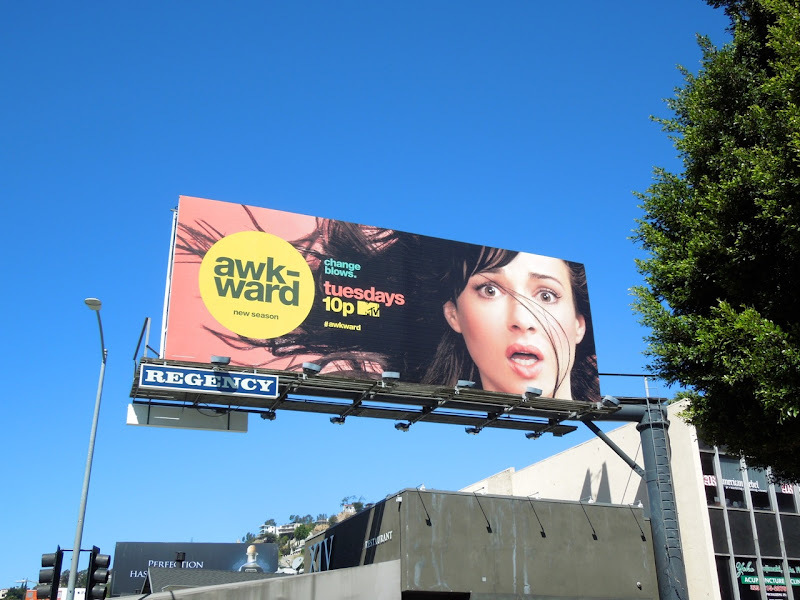 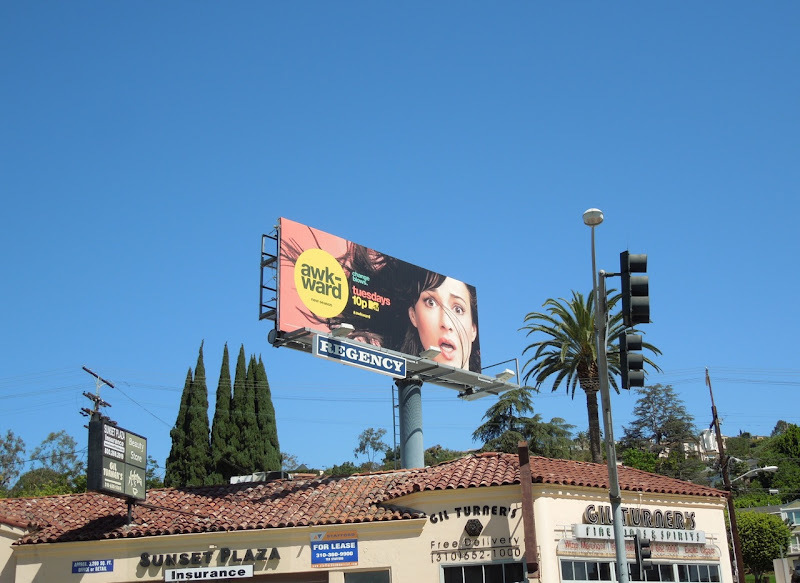 These season three billboards for the show were snapped along Sunset Boulevard at Crescent Heights Boulevard on April 16, plus further west along The Strip at Doheny Drive on April 18, 2013. 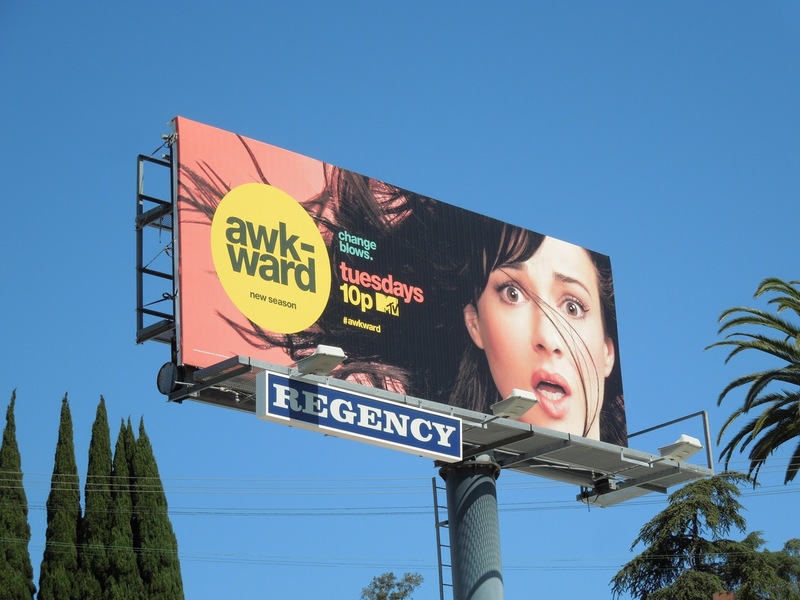 And that brings another fun TV WEEK to a close, but stay tuned next week for another eclectic mix of the best movie, fashion, television and lifestyle billboards lining the city skyline.